Since 1993 she has been working as a secretary at the Section of Byzantine Research/Institute of Historical Research at the National Hellenic Research Foundation (IBR/IHR/NHRF). 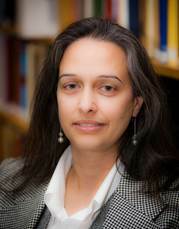 During her tenure at this Institute, and in addition to her secretarial work, she has been actively involved with the publications of the IBR (electronic processing / layout) of conference proceedings, collective volumes and monographs. Since December 2011 she has taken on the Secretariat of the Centre for Greek and Roman Antiquity (KERA) and continues to support DIAVGEIA in both Institutes KERA and IBR. Since the creation of the single Institute of Historical Research (IHR), she has been responsible for financial records and for supporting DIAVGEIA, in addition to recording the meetings of the elections of Directors and the hiring and development of researchers. She is the elected representative of the administrative/technical staff in the Board of NHRF since August 2013.